Protein tags are protein or peptide sequences located either on the C- or N- terminal of the target protein, which facilitates one or several of the following characteristics: solubility, detection, purification, localization and expression. The Myc tag corresponds to amino acid residues(EQKLISEEDL) of the human c-Myc protein. It can be used for affinity chromatography, then used to separate recombinant, overexpressed protein from wild type protein expressed by the host organism. It can also be used in the isolation of protein complexes with multiple subunits. 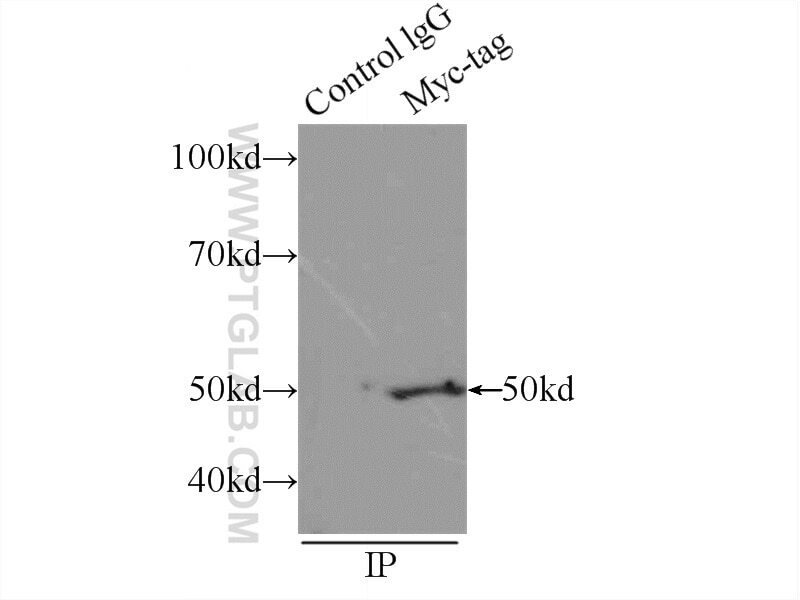 Myc-Tag mouse mAb detects recombinant proteins containing the Myc tag. The antibody recognizes the Myc-tag EQKLISEEDL fused to either the amino- or carboxy- terminus of targeted proteins. Protein kinase Cα inhibits myocardin-induced cardiomyocyte hypertrophy through the promotion of myocardin phosphorylation. Herpes simplex virus 1 UL41 protein abrogates the antiviral activity of hZAP by degrading its mRNA.